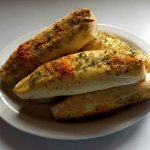 There are a variety of techniques and styles of breadstick. 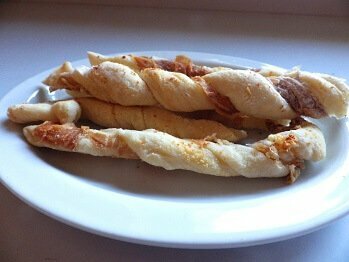 This recipe uses the “twisted-stick style.” This involves taking the dough and topping it with ingredients and then slicing it with a knife or pizza cutter into strips. 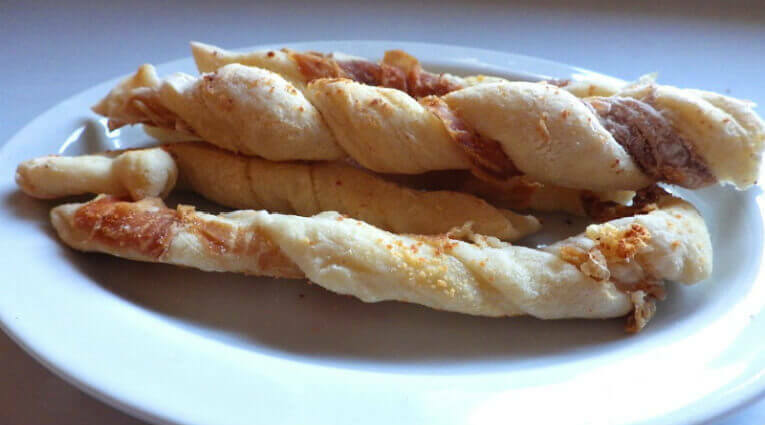 The strips are then twisted incorporating the toppings or ingredients into the breadstick. 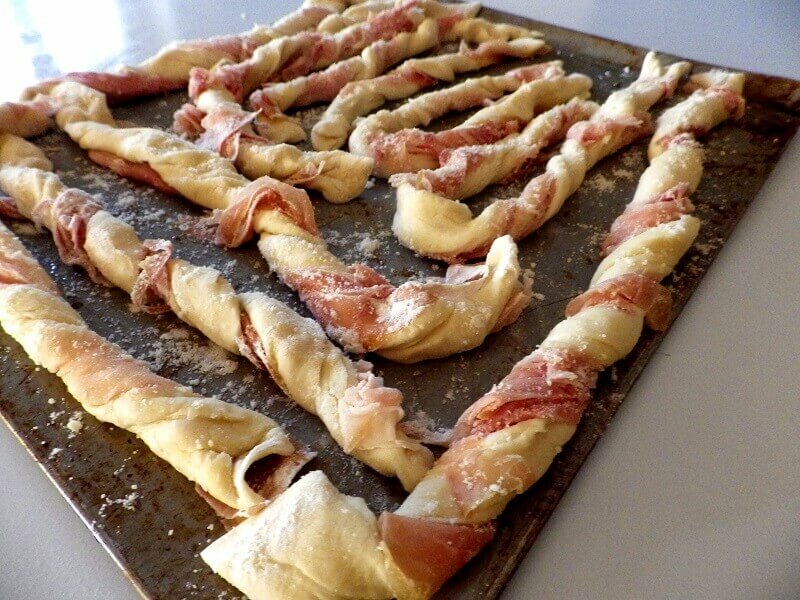 For this recipe, we’re going to use prosciutto and grated parmesan cheese. 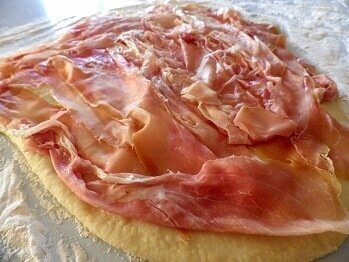 Prosciutto is a variety of ham that is usually sliced very thin. We’re going to make the dough in the bread machine using the dough setting and then finish then in the oven. Place the first set of dough ingredients in the bread pan in the order indicated. 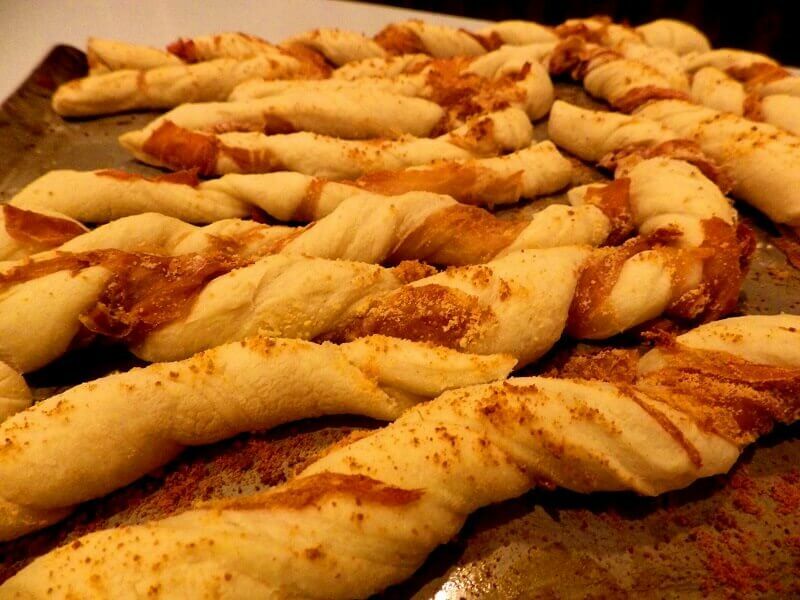 Do not add any of the topping ingredients at this point. 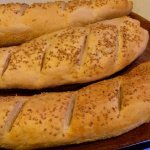 Select the dough cycle on the bread machine. 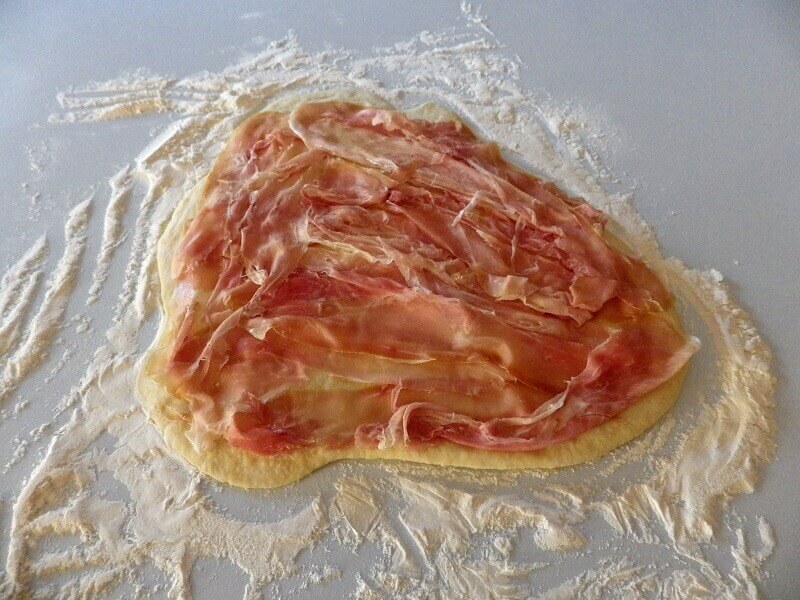 When finished, drop the dough onto a lightly floured surface. 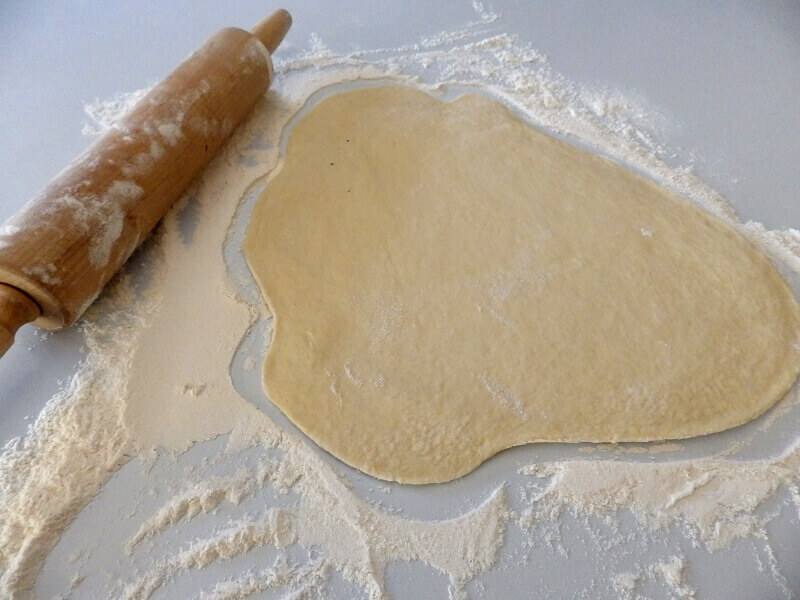 Roll the dough out flat to about 1/4-inch-thick or about half a centimeter. 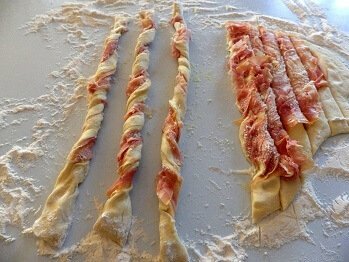 Cover with plastic wrap and let rise for 20 to 30 minutes. 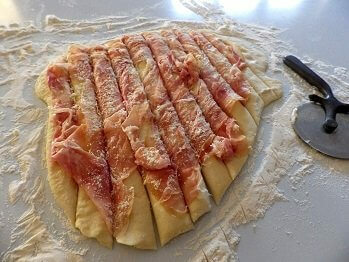 Carefully lay the prosciutto slices on the surface of the dough to cover as much as possible (see photos). 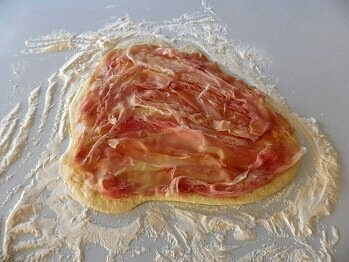 Sprinkle the Parmesan evenly across the top. 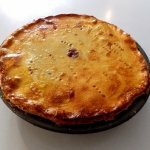 Reserve the egg yolk and water for glazing. 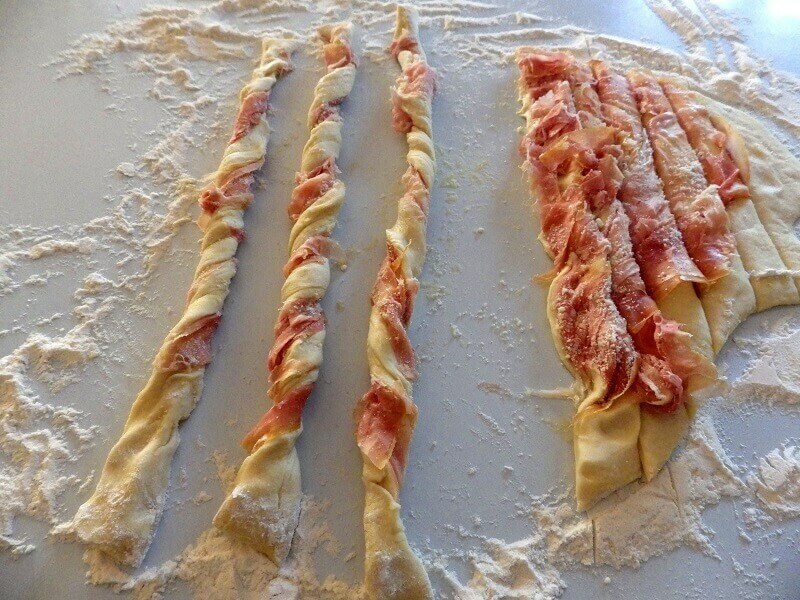 Cut the dough into long strips about an inch wide (see photos). Twist each end in opposite directions to twist the toppings into the bread stick (see photos).